Bonus Review #4. Also, Merry Christmas, and all that. Women were hanged less often than men, and for some crimes that were unique to them, for instance ‘petty treason’. 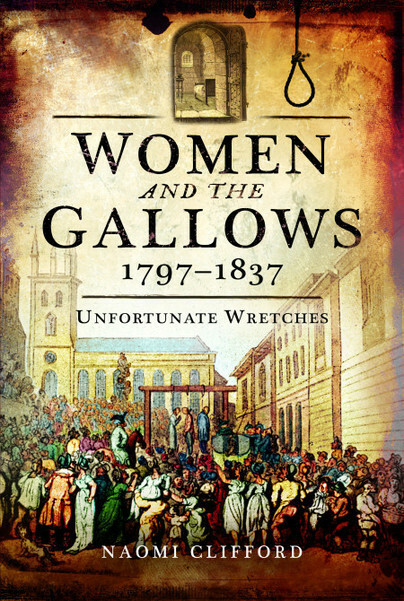 In the forty year period covered by this book 131 women went to the gallows. Some of them were probably innocent, for example Eliza Fenning, accused and found guilty of murder by poisoning. Evidence was slim but she’d had a minor disagreement with one of the victims and the family who employed her wanted to hide the fact that their son had threatened the victim. The judge was a hanging judge, with little sympathy for working class women during a time of middle class fear of servants, and the court was packed against Eliza. The book is separated in to three parts: crimes against the person, crimes against property and a chronology of women executed between 1797 and 1837. It highlights individuals and their stories in sympathetic prose, with reference to contemporary sources drawn from biographies, letters and newspaper reports. This book is easy to read, interesting and explores Georgian/Regency attitudes to criminal women, the death penalty and social circumstances, especially the Bank Restriction act, which came in at the start of the period and saw a rise in forgery of small notes and a consequent increase in prosecutions and executions.